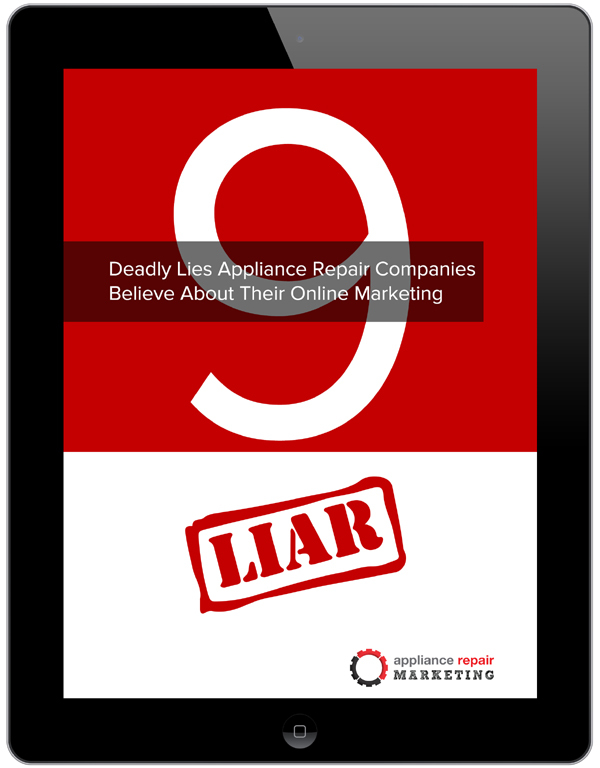 9 Deadly Lies | Appliance Repair Marketing, LLC. Why Isn’t Your Online Marketing Working? Discover the "9 Deadly Lies" keeping your phones from ringing - and what smart Appliance Repair Companies are doing instead. Copyright © 2018 Appliance Repair Marketing, LLC. All Rights Reserved.